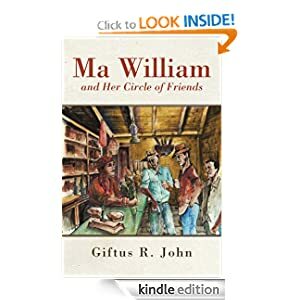 Thank you for joining me with Ma William and Her Circle of Friends. I am Giftus John, and I have been writing for close to forty years. My writing started while at the St. Mary’s Academy in Dominica, where I contributed stories to the Star Newspaper and the Dominica Herald, and then at the Sixth Form College (Sifocol). Somehow, I fell in love with the art form, for I liked the way the subject was taught by Mr. Alwin Bully and Mrs. Alfred Leevy who were among my teachers at Sifocol, and so I worked towards improving my writing skills.